This entry was posted in Australian Education, Capitalism, Education, Health, Politics, Uncategorized and tagged 2014 budget, australia, Australian citizens, Carbon tax, Corporate Australia, Tony Abbott. Bookmark the permalink. 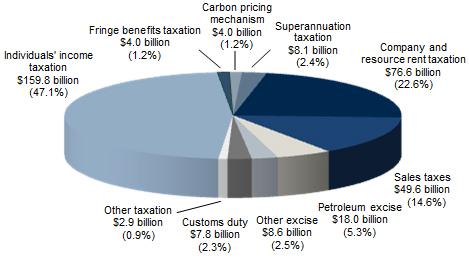 Not counting the Diesel Excise Exemption for Mining companies, royalties returned to mining to support their infrastructure needs such as ports, the massive write-downs and the non-existent mining tax and the off-shoring of profits. All of this does not in any way account for the additional State Tax burden that in WA has increased by 6.6% across the board including Electricity and public Transport. The local government also has increased its burden by an additional 6-8% on average. All way above inflation. The only thing that has not increased is my pay-packet. That clearly needs to change. Hehe yes I wouldn’t mind a pay packet increase – although running my own business…I’m the only one in control of that issue! Years ago when I first heard about Howard government having talks of taking away medicare, I wondered why it would do such a thing and that they even openly discussed it. Over the years, I have learned more about the world out of curiosity. Now I have come to think that our labour government is like the counterpart to the Democratic Party in the US, and as Liberal is to the Republican Party. In the face of good debt, lets spend less on basic needs and investment; cut healthcare to charge it to the needy, cut social benefit to family as this continent needs less people to compete in the future, spend more on gear of war by buying from our allies just to watch those gears get old then buy more when new hardware come out in the style of silicon valley’s consumerism, cut funding to science projects as we don’t need no industry makers or operational improvements, and we can have less schools or classes with more kids in it starting a few years. later. The very practice government makes more from the poor than it does from the capitalists is an overwhelming essence of develop countries in the world. However the balance between socialistic policy and capitalistic policy in this nation is finely maintained at this time in history. But what if labour government becomes a minor party in a foreseeable future? Is our next generation going to live without healthcare and union?